Colin O’Donoghue: Ultimately, it’s his love for Emma that causes him to break through the darkness and realize what he’s done, and he’s willing then to sacrifice his life and condemn himself to hell in order to save her, which is a pretty big thing to do. I think people — certainly the fans of Hook and Emma — will get to see that deep down inside he really does love her and the power of that love is what breaks through and helps him realize that the dark path he is on is not right. [That’s when] he’s willing to go to the underworld. It’s a pretty emotional moment for both of them, Emma and Hook, because she asks him to sacrifice him and kill him and she, naturally, doesn’t really want to do it even though she says she’d do whatever it takes to protect her family. But essentially he’s the man she loves and she’s the woman he loves. Regina, essentially, is the architect of that, and that’s what their secret was — that she is part and parcel. It was interesting for me to see his relationship with his father. You see how sad a character the old Hook was until he met Emma and realized he could try to forgive himself because someone was willing to love him. He changed before that to become Captain Hook, but killing your father is a pretty big thing. [laughs] Essentially, he was willing to help his father. Regina put him up to killing him, and Hook was about to do it but then his father gives him a bit of a spiel and [Hook] thinks that he’s ready to redeem himself. Hook then is willing to save his life until he sees him with the little boy and sees he’s about to do the exact same thing to him. I think that’s when Hook gave into his previous darkness. 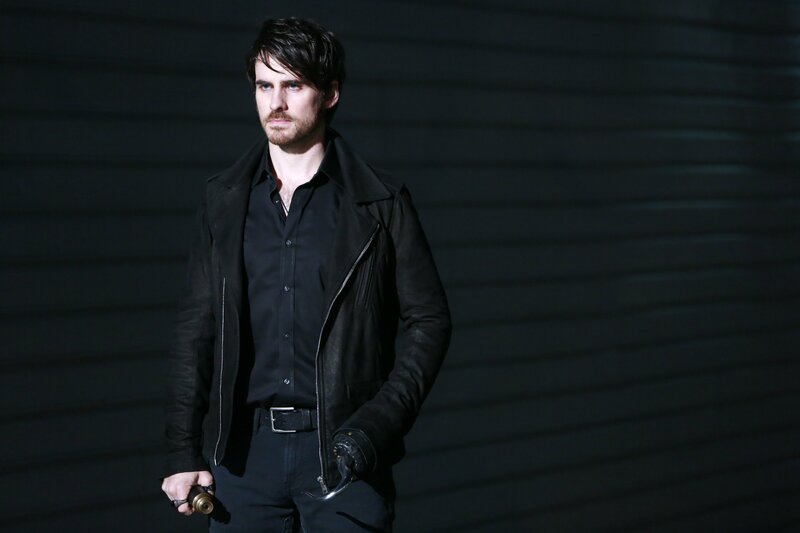 It’s interesting because at times Hook portrays himself as being similar and doesn’t care about the world, but I think deep down Hook has always had a code. I don’t think he’d abandon his son or his sons consistently [like his father did]. I think deep down he wouldn’t do that. He wouldn’t abandon them, and I think in that respect he is different. You’ve seen him on the ship with Baelfire, and Hook was willing to genuinely give up being a pirate and try to be a father to this boy and essentially he betrays him. But I think if Baelfire had said, “Yes, I’ll stay here with you,” he would’ve given it all up. But then he does the most heinous thing when Baelfire says, “No, I don’t want to do that.” Hook betrays him completely. On one hand, you see a slight gentleman and then the other hand you see this tyrant. Look, Jen is absolutely brilliant all the time and we have a great working relationship on set and we enjoyed doing our scenes together. It’s been fun playing two completely different characters trying to relate to each in the way that old Hook and Emma related to each other, but they just keep missing the mark because they’re Dark Ones so it’s been interesting to see that. Getting to play Dark Hook was really a lot of fun. And I genuinely think that this season is one of the best seasons, if not the best. Writing wise, I think it’s dark and it’s just really, really good. It’s been a great season.